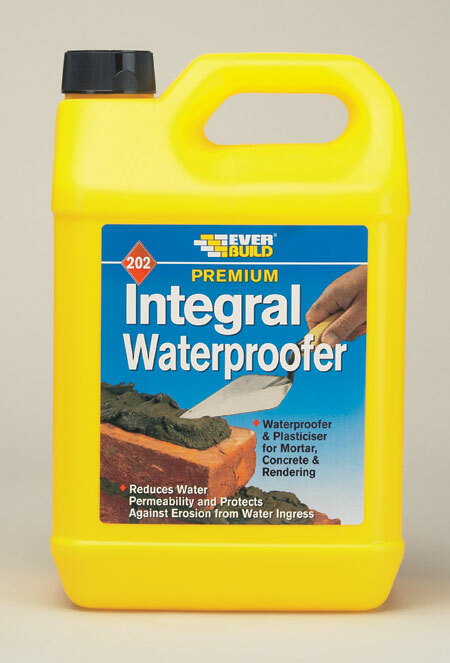 Everbuild - Integral Liquid Waterproofer is a liquid additive that provides long term water protection to mortar, concrete and rendering. 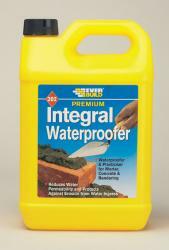 Reduces water permeability and is suitable for all applications where resistance to water absorption is necessary such as pool and tank linings, roof areas, external rendering and pointing and structures below ground level. To BS 4887 (initial air).